For a surveillance camera to be truly effective in times past, it required at least two elements: a system to manage multiple cameras at once, and a human being watching that system to respond to threats and questionable activities. Since then, many practical and useful enhancements have come to market, so much so that even the smallest businesses can now protect their investments, employees and property to the fullest, without investing human capital on hours spent. Very recently, Google has pioneered the use of deep convolutional neural networks to identify objects in static images with a very high degree of accuracy. They achieved this by using a multitude of finely networked and highly specific processing units tied to massive data storage containers, combined with dense replicating algorithms. What this means in layman’s terms is that each computer taught itself how to identify photos by holding on to every bit of data about that photo, sharing it with other computers, and then comparing the differing results. You may already be using a reduced version of this software, if you are using facial recognition to log into your mobile phone or a specific app. Current IP-based camera video is ultimately nothing more than a lot of individual photos that are sequenced together to create a video that’s really just a moving set of pictures. It’s only been a matter of time that this same kind of machine learning could be used to identify specific features of a human face, or even the shape of raised letters on a vehicle’s license plate, in real time monitoring of a video stream and then compare those results to a database of known quantities – a very specific example being a former employee who may be barred from entering a restricted area gets captured by a camera and his face is compared to a record of employee ID badges for the past 5 years. 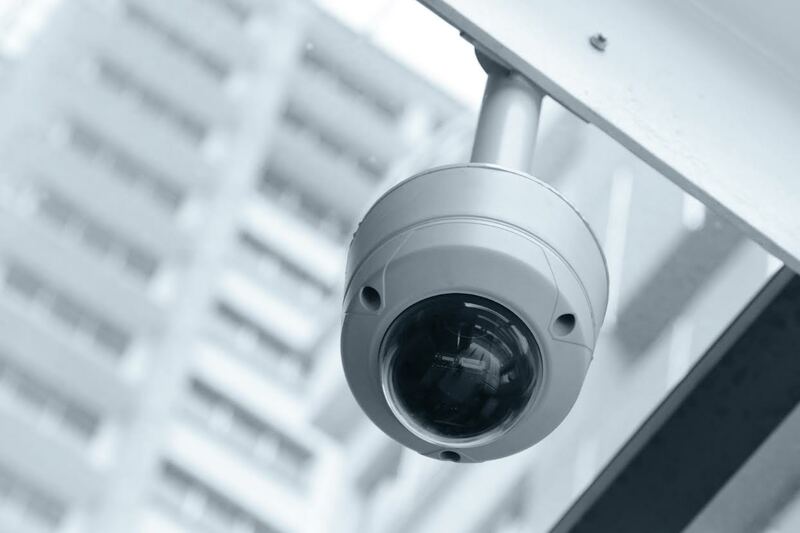 And while an organization is still investing in a physical security presence, using an automated facial recognition software system frees up a large amount of man hours, effectively becoming a force multiplier and allowing less staff to achieve more. Another way that advanced video analytics provide value outside of security is for visitor metrics, put simply how many different individuals are entering your space at any given time. This can be incredibly valuable for retail stores, transportation infrastructure, or large public spaces such as sports stadiums or convention centers to measure human traffic throughout a space. A well rounded video management system is rapidly becoming a must-have for any organization, and as facial recognition and video analytical software become better, they also become more cost-efficient as well. If you’ve ever wondered about how to get the most out of your camera network, or to have a new camera network protect your facility, contact us today. On December 1, 1958, a fire broke out in the basement of Our Lady of the Angels School in Chicago. Due to a grandfather clause in building construction, the school did not have to comply with upgrades to the Illinois Fire Code. The school was well-maintained, clean and relatively modern. However, the school’s failure to have important updates in fire prevention led to this tragedy. The building had only one fire escape, no direct alarm wire to the Chicago Fire Department, no heat detectors, no automatic fire sensor, no fire doors and no sprinkler system. There were two unmarked fire alarm switches and only four fire extinguishers, mounted out of the reach of all the children and most of the adult staff, seven feet off the floor. In the aftermath, 92 children and three nuns perished. A year after this tragedy, 16,500 older school buildings in the US were brought up to modern fire code. We all remember fire drills from our school years. At surprise intervals, the fire alarm system was tested for its performance and ability to notify all students and teachers of a fire. Student preparedness was also critical to these drills, as knowing how to react without panic or emotional duress is just as important as a warning klaxon or strobe light. This system is impressive in that, even as adults, we instinctively know what to do when we hear a fire alarm. And it’s so effective that not a single child has died in a school fire since 1958. In that same time frame, 458 students have been murdered in by active shooters in schools and colleges. Why are these fire drills and alarms systems so effective? What makes them work? Layer: a fire alarm klaxon, that makes a loud noise that every can hear clearly and easily recognize. Layer: sprinklers. When they get hot, they activate and suppress the fire with water, slowing its spread. Layer: backlit exit sign. With an attached battery backup, the sign will light up indefinitely, showing anyone who views it how to escape the building. Layer: human drilling and practice. This reinforces the process, creates familiarity with all the other layers and allows a calm process to be followed without taxing critical thinking skills that can lead to panic. The merger of reliable technology and consistent reinforcement of best actions through assessment and drilling have reduced the number of fatalities in school fires to zero. School fires still occur, to be certain. There are even a few injuries every year. But ZERO fatalities. There is now a ‘fire alarm’ for the active shooter nightmare. With the Guardian Indoor Gunshot Detection System, first responders, and occupants receive real-time location and confirmation of a gunshot inside a building, and act with confidence instead of fear and panic. Law enforcement gains tactical intelligence to stop the threat, and everyone inside can follow their processes for crisis management safely and confidently but most importantly, faster. In response to the vicious and hateful attacks at the Tree of Life Synagogue in Pittsburgh, SOS has committed to bringing this life saving technology to particularly at-risk faith centers and places of worship, along with schools both public and private, and sites around the country. We will not watch as these attacks of senseless hate and violence continue to hurt our communities and our hearts, and take the lives of loved ones & friends. The mass shooting that took place in Aberdeen, MD on Sept 20th 2018 was the third such incident in 24 hours in the United States. The day before, a suspect was killed by police after wounding four people at a software company in Middletown, Wisconsin and another suspect was engaged by law enforcement and killed after wounding four in a public courthouse in Masontown, Pennsylvania. These deplorable and senseless incidents were once singular aberrations in the fabric of America. Now, they are so common that almost no location is safe from this threat. In this current climate, it becomes incumbent on businesses to ensure they are doing all they can to keep their people safe, and limit their risk in the event the unthinkable becomes reality. In some incidents, the aftermath has addressed civil liability for premise owners & operations brought by survivors and on the behalf of victims. These have been based on a perceived lack of care and failure to employ safety and security measures that are now commonplace in the 21st century. Camera surveillance, access control systems and even gunshot detection platforms are such a reality for American workers that we hardly notice them. Instead, their absence is what creates cause for alarm. Without these systems in place to prevent access and monitor for visual evidence, these civil actions have been successful in obtaining payments under a business’s liability insurance policies. This has not always been successful, as juries have not always held businesses liable. In the Aurora, Colorado shooting, a jury found cinema chain Cinemark not liable for that crime. Even so, insurers have now started to scrutinize their offerings and coverage to determine what kind of exposure policy holders have to this kind of risk. It’s feasible that worker injuries would be covered by worker’s compensation insurance, while commercial general liability policies would provide remedy for resulting bodily injury claims from customers, vendors and bystanders along with any property damage claims. 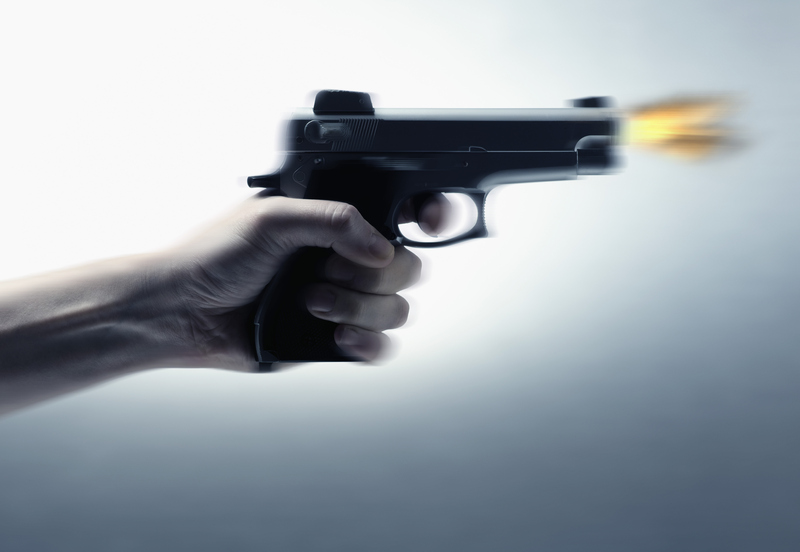 Currently, many commercial general liability policies do not inherently exclude nor cover active shooter attacks, and may not response to claims with any specificity, where an individual was expressly targeted by a suspect. When taking a more broad approach, commercial liability policies can include terrorism riders that, under very specific conditions, address acts of terrorism. The federal government does provide re-insurance for insurers under certified acts of terrorism, which was signed into law after the September 11th attacks in 2001. As of 2007, this law also includes domestic terrorism, which had been excluded. However, domestic terrorism has a tough standard to certify, as the federal government has not yet certified any terroristic acts, domestic or foreign, since 2001. Under this current, heartbreaking trend, active assailant insurance is being offered by many major carriers. These policies often include a number of tools to help save lives, including training for personnel and vulnerability assessments. SOS Technology Group has seen this trend only increase, sadly, and are here to assist with any questions on this topic. A few years ago, cybersecurity was once the responsibility of large corporations and governments. Companies specializing in cybersecurity could make very specialized efforts and expenditures to maintain parity with IT related crime. Unfortunately, that is no longer the case. Every day, digital attacks make the news, and every aspect of every infrastructure, company, and application is at risk. As the number of Internet-connected devices across the world increases, humanity is hyper-connected. In times previous, the responsibility of cybersecurity fell squarely on the IT department, the burden is now shared across entire organizations. 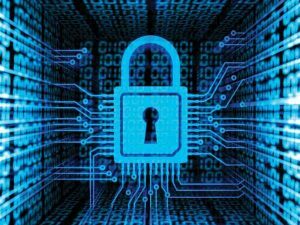 Cybersecurity has become a huge concern for every company and it is being prioritized accordingly. Not all organizations have successfully managed to translate the digital threats into credible business concerns, however, and as a result, there are plenty of businesses that have no idea how to proceed. Businesses spend billions of dollars every year on advanced technology. This new equipment is meant to preserve the safety of important information and data, and deter malicious hackers and insiders from their attempts to bypass security measures and swipe data without a second thought. In spite of this, most breaches occur as a result of human actions or errors. Also, people seem to be completely unaware of what has happened until after the damage is done. You will always be targeted by hackers into spilling valuable secrets unknowingly. Through a method known as social engineering, they target the weakest link in the cybersecurity spectrum – humans and exploit them to find loopholes and other entry points. To combat this, humans and technology must work more efficiently together with the same goals in mind. Most often, it is people who are targeted by hackers, and these are the same people who are often responsible for lapses in cybersecurity. The problem lies in human nature. We have an innate desire to be helpful and to trust other humans. Hackers take advantage of this trust and use our willingness to cooperate and curiosity to get us to “click on the link” in personal or business emails. But the moment you clicked on a bad link, you might have unknowingly downloaded a virus or malware into your system. And if you’re one of the unlucky few, you might be the victim of a ransomware attack, where all your data is locked up, and unless you pay a certain amount, you will never be able to access the data again. So, even if these actions are accidental, the outcome can considerably harm your company, your community, your family, or yourself. Until you learn to be suspicious of too-good-to-be-true emails or shady links online, malicious insiders will continue to take you for a ride. SOS Technology Group prides itself on familiarizing their clients with all the common cybersecurity errors and work with them to strengthen their systems so that no data is lost or stolen by hackers. The more informed the client is, the better they will be able to protect their personal information. If your computer is connected to the Internet, the answer is ‘yes’. You are a potential target to an array of cyber threats that attack through unpatched security holes. This means that if you, like most people, shop and bank online, you are vulnerable to identity theft and other malicious attacks. According to a study by NCSA Cyber Security, only 4% of Americans say they understand firewalls “completely”, while more than 44% don’t understand firewalls at all – or know if they have one enabled on their PC. A firewall works as a barrier, or a shield, between your PC and cyber space. When you are connected to the Internet, you are constantly sending and receiving information in small units called packets. The firewall filters these packets to see if they meet certain criteria set by a series of rules, and thereafter blocks or allows the data. This way, hackers cannot get inside and steal information such as bank account numbers and passwords from you. Basic firewalls such as the one included in Windows, only monitor incoming traffic by default. This may give you a false sense of security, as outgoing traffic, with your credit card information, bank accounts, and social security number, is not protected. A good firewall will monitor traffic in both directions, both your incoming data and your outgoing data, keeping your private information safe. In addition to preventing unauthorized access to your PC, it also makes your PC invisible when online, helping prevent attempted intrusions before they start. Most sophisticated firewalls also include a feature that continuously updates the list of known good and known malicious applications. 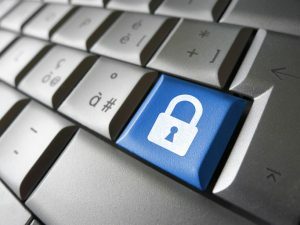 This way, the amount of questions relating to Internet access is minimized and your computer protection is always up-to-date. Although a firewall provides critical protection to keep your PC safe from unauthorized access, it cannot remove malware from a system that has already been infected. 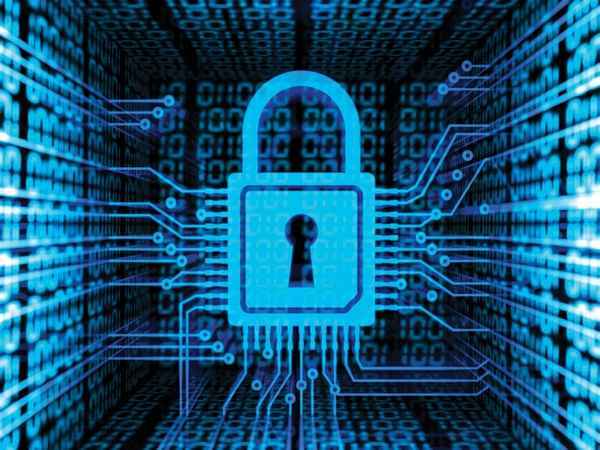 Therefore, a firewall should be used in conjunction with other proactive measures, such as anti-malware software, to strengthen your resistance to attacks. If you own a business, this protection is even more critical, as you have a multitude of personally confidential information for many individuals at risk of exposure. Customers, employees, invoices – any data of theirs they share with you must be protected just as much as your own, as you may be liable for any breaches that occur through oversights in best practices in cybersecurity. If you have any questions on firewalls, or are concerned you may not be secure enough, contact us today.